Honest answers to confusing questions in the industry. Proven professional opinion from Tom and Amy Baker. We rank on Google because of our content, not because we wrote the site to be packed full of keywords. In 1998, I developed a passion for Travertine. Finding that honing was a misused term and the processes at that time to do so were damaging. I started developing safer and more effective cleaning, finishing, polishing and sealing systems for Travertine, Marble, and Limestone. 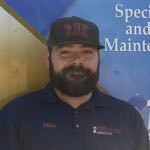 Now with millions of square feet of experience and the most competitive company in Arizona, my continuing passion is to change the natural stone polishing & sealing industry. Information to consumers to help them understand and protect their stone and launch the most complete and unique polishing & sealing system to be sold around the world with my company Powerclean Proven products in mid-2018. 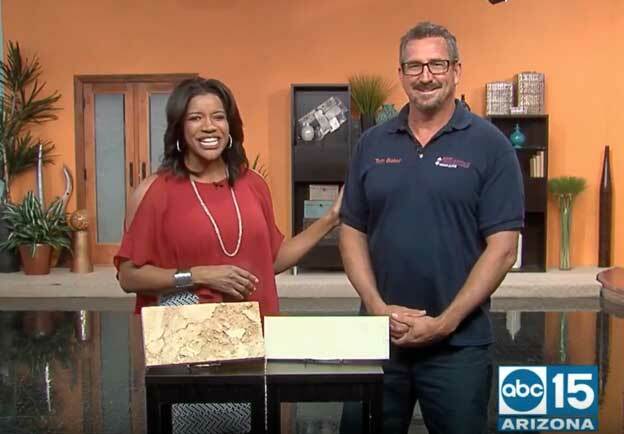 Watch Sonoran Living‘s recent spring cleaning special where Tom Baker explains importance of sealing your natural stone flooring. 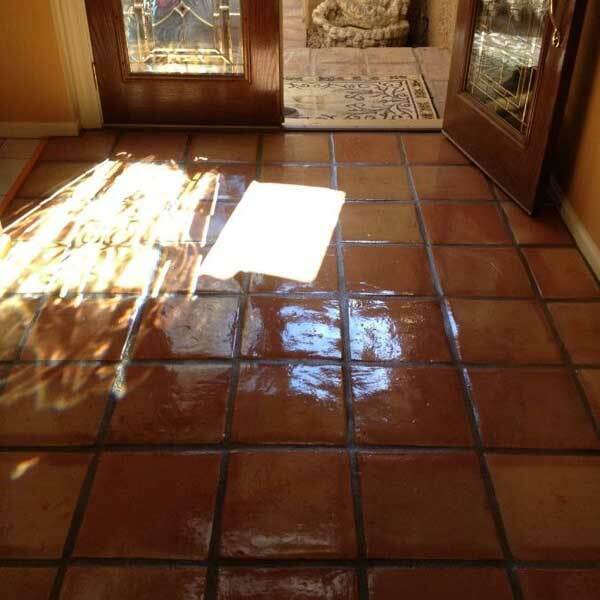 Sonoran Living Sweepstakes Winner shows off her newly cleaned and sealed patio by Baker’s travertine Power Clean. Watch now to learn about our proven process for cleaning and sealing your natural stone flooring and patios. 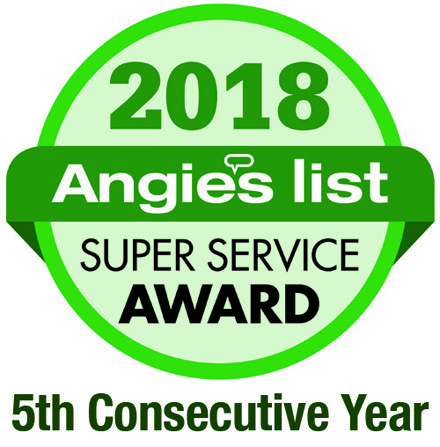 Our focus has always been to provide the best service, using the best tools, at a fair price, and always with honor and honesty. Baker’s Travertine Power Clean has proudly been in business since 1988. Starting out in carpet cleaning, we evolved into tile cleaning/repair and then transitioned into Travertine and natural stone finishing. Not satisfied with the standard and available products and tools to finish marble and almost nothing available specifically for Travertine, we researched and developed our own unique abrasive system. Our system and powerful quality equipment provides great results in sometimes less than half the time than our top competitors. Pioneered & Proven Results With Our Power Clean System. 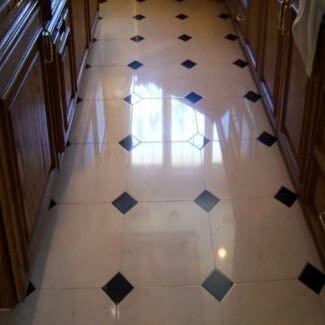 We clean, polish, seal & restore every type of floor & stone. The irregular flagstones fit together and make for a beautiful and unique pathway, patio, pool deck, interior flooring, and more! Each use requires special and delicate care for long lasting tile. 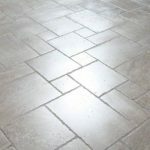 Finding your best travertine cleaning options can be confusing and many times you will run into websites or companies who claim they can clean your travertine floors but are not actually licensed or certified. 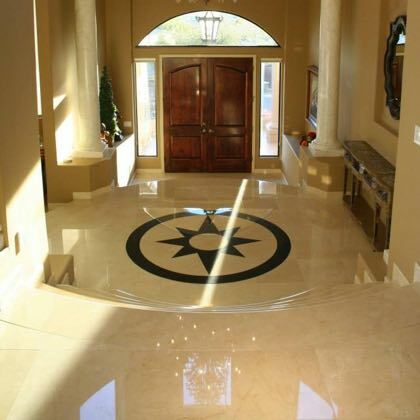 Baker’s is licensed and certified with hundreds of positive reviews on our travertine work across Arizona. Marble is a natural stone that can be used on many surfaces; from floors to tables to countertops. Marble brings a timeless and elegant to any room and because of the uniqueness, hiring a professional to care for your marble is crucial to protecting it for the long term. 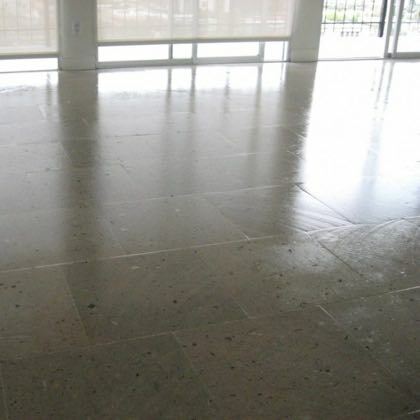 Limestone is a beautiful type of natural stone that can be used indoors and outdoors. It’s often seen throughout the world’s most famous structures, it is also used for residential homes, both indoors and out. Caring for your limestone tile should be left to the professionals to ensure a long life of your natural stone. Commonly known as hand-carved stone, Cantera is a natural stone that is often used on interior floors, fireplaces, columns, fountains, and more. Because of the nature of this natural stone, it’s important to properly care for your Cantera tile. 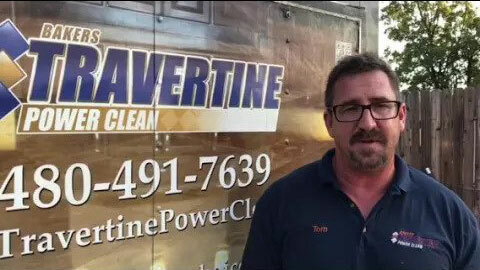 Rely on the experts at Travertine Power Clean for the ultimate natural stone care. 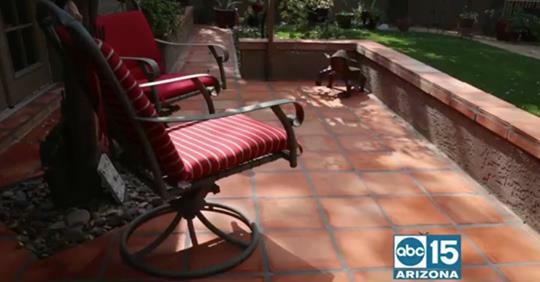 This terra-cotta tile is beautiful and brings a unique look to your interior and exterior patio area. This title originated from Saltillo, Coahuila, Mexico and is one of the two famous product that comes from this area. Saltillo tile varies in color and shape, and requires quality care from a team of professionals. While there are many types of tile throughout the Valley, ceramic & porcelain are the most common types of tile found in homes. Cleaning these types of tile may seem straight forward, but hiring a professional to care for your tile is always recommended. Slate tile needs to be regularly cleaned and sealed, but with proper care, it will last forever! 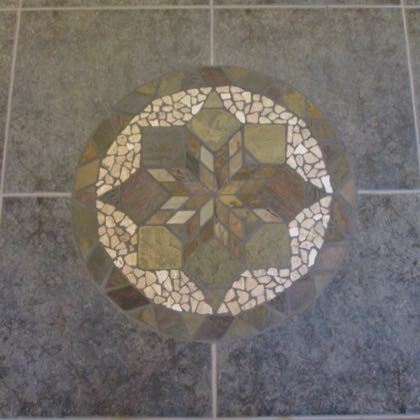 Take care of your slate tile with our team of experts and you’ll enjoy it for life. When your travertine is new and healthy is the optimal time to protect your investment for years of use, although it’s never too late! 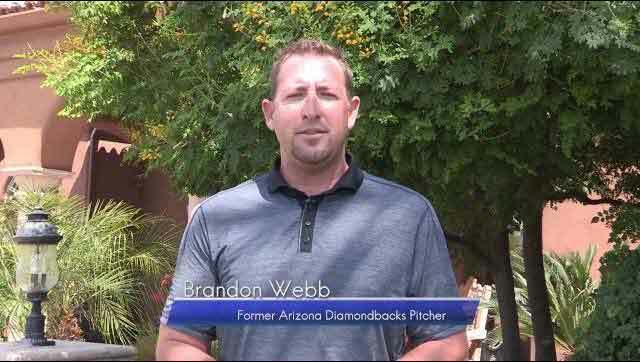 Arizonians love their outdoor living. 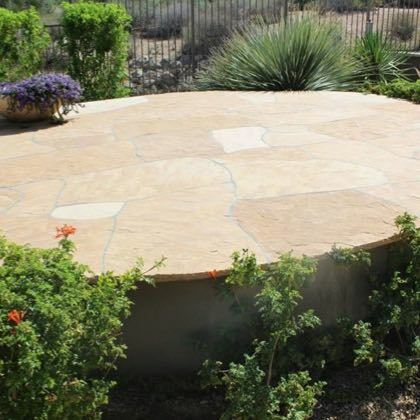 Let us take the guesswork out of properly caring for your travertine patio — so you can sit back and live it up in your outdoor oasis. 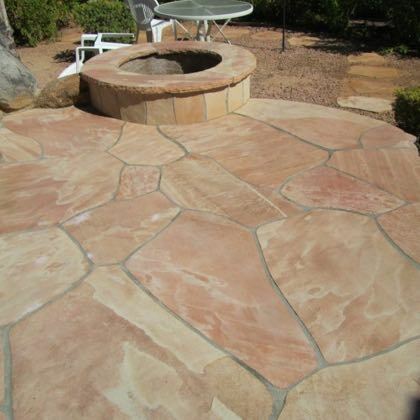 When It Comes To Natural Stone Care, We Are The Best in Arizona. Bakers have always and will always make sure you’re 100% satisfied in their work. Guaranteed. Mentioned by Name in Over 400 Positive Reviews, Our Employees are the Best Equipped & Experienced in the World. 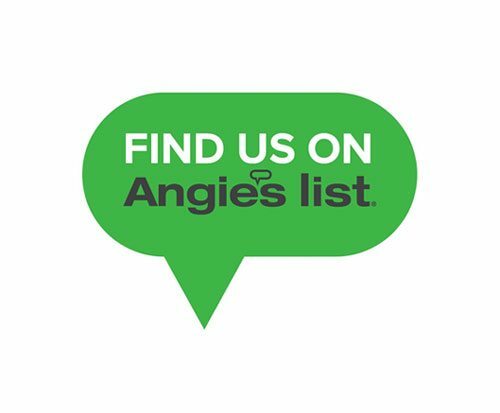 Quality Care & The Best Customer Service Are Our Top Priorities. See For Yourself. Baker's Slate Power Clean sealed my slate floors when they were new and have maintained them for several years. The slate floors are in extreme traffic areas but have preformed excellent because of the original sealing process from the beginning.I am so happy that I found such a specialized company that was able to handle this ongoing project. 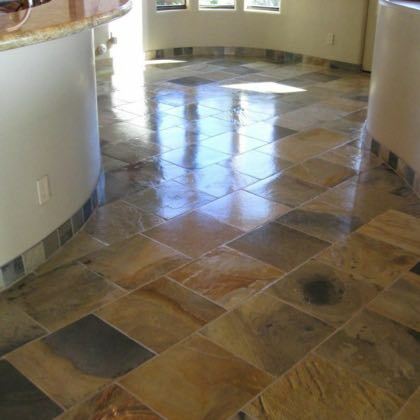 We specialize in cleaning, polishing, sealing, repair and restoration of travertine, marble, flagstone (indoor and outdoor), patios slate and all types of natural stone. We have travertine in our company name, but that doesn’t mean we are not experts with other stone surfaces like marble, flagstone, patios and slate restoration. We have invented custom sealers and blend them ourselves. 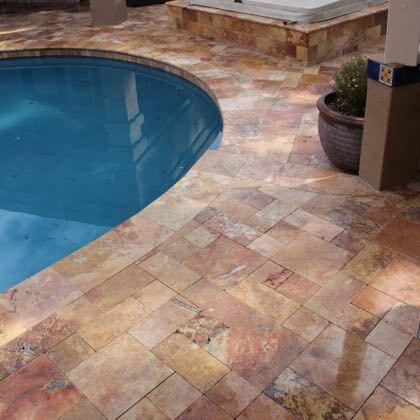 No other sealers compare to how our sealers perform for travertine, marble, flagstone, slate, limestone, Cantera, and Saltillo tile. 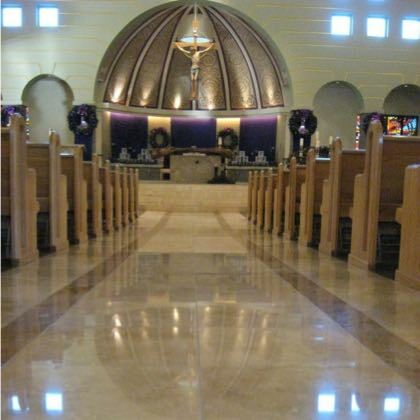 Polishing travertine marble and limestone is the best way to seal these types of natural stone surfaces. 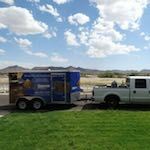 We primarily work in Scottsdale, Paradise Valley, Tempe, Mesa, Gilbert, Chandler, and Phoenix. 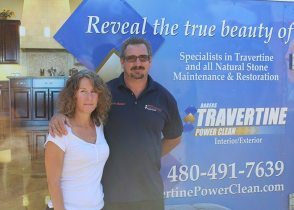 We do travel to Sedona, Prescott, Flagstaff, Tucson and other Arizona cities. We also often travel out of state for large projects in Telluride Colorado and Mammoth California.